We drove north into the Bruce Peninsula, a peninsula in Lake Huron separating the main part of the Lake and Georgian Bay. 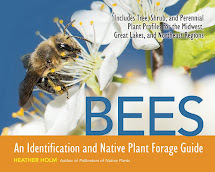 This Peninsula's bedrock is comprised of limestone, the northern end of the Niagara escarpment that runs through Ontario and into upstate New York. 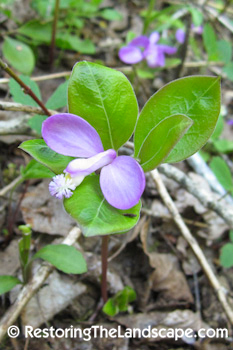 Fringed Milkwort (Polygala paucifolia) was in full bloom in the cedar woodlands and edges. This tiny plant only reaches heights of about 6 inches. 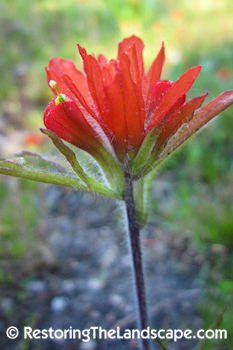 The irregular flower is five parted, with two larger sepals that look like wings. 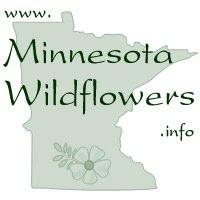 Another common name for this native is Gay-Wings. A nice surprise along the road was Indian Paintbrush (Castilleja coccinea). 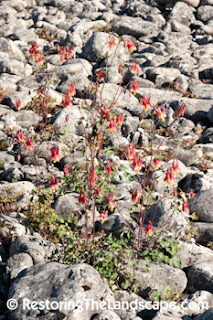 Growing in shallow soils on top of the limestone bedrock in both full and part sun. The most surprising roadside plant was Yellow Lady's Slippers (Cypripedium parviflorum). 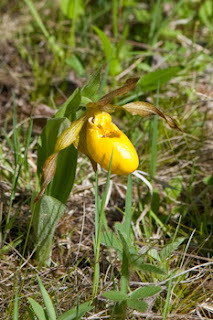 Very abundant in the clearings, also growing in shallow soils and full sun. 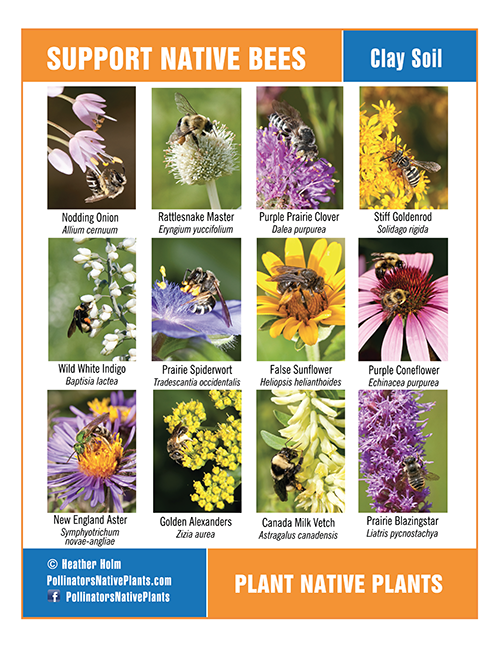 I have never seen so many scattered in such a large area. We camped at Bruce Peninsula National Park. 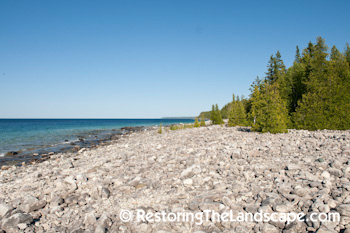 We hiked a couple of miles from the campground to the rocky limestone shoreline of Lake Huron. This Peninsula is a favorite spot for divers for all the shipwrecks around the Peninsula and the very clear water. 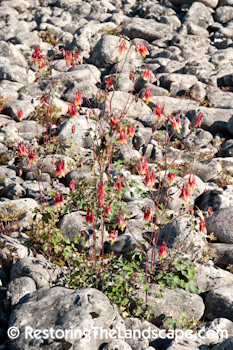 Wild Columbine (Aquilegia canadensis) was growing in amongst the large boulders. 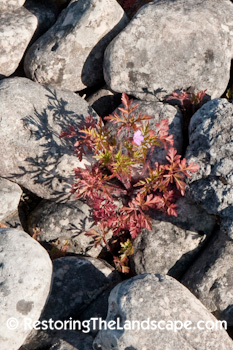 A native Geranium (Geranium bicknellii) was also making a go of it in the rocks. This Geranium is a very common native of both woodlands and more open or disturbed areas in Ontario. 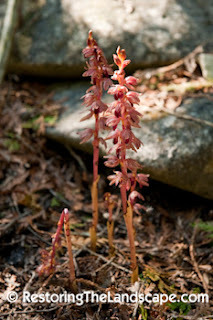 Near our campsite and along the hiking trails were many Striped Coralroot orchids (Corallorhiza striata). 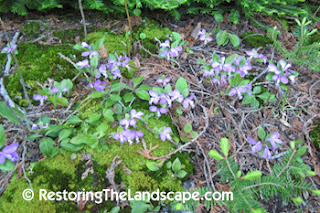 We saw these in moist shaded areas under White Cedars. 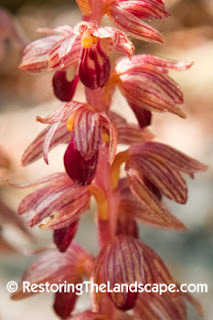 Close up of the Striped Coralroot flowers.